Smart homes are no longer the domain of the rich and famous, or the dreams hatched by 1960s cartoons with flying cars. Builders are moving aggressively towards smart home innovations – and while the early targets are higher-end, expensive homes, smart devices are already starting to find their way into ordinary homes, with things like thermostats and home security systems getting connected to the home wifi in a new Internet-of-Things (IoT) model. 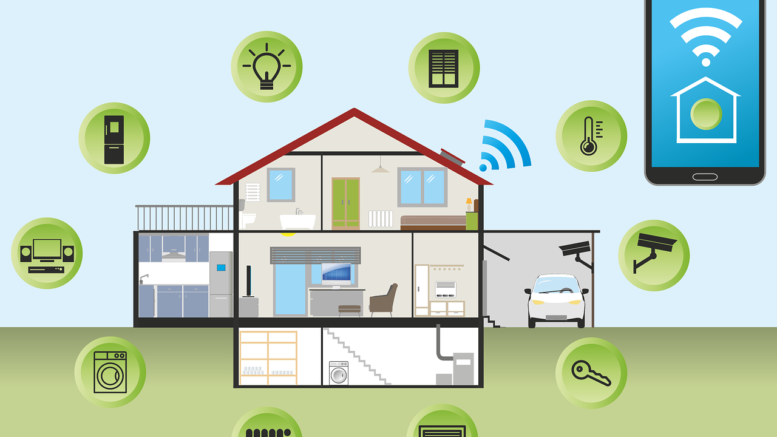 By the year 2020, home automation will be a $1.7 trillion market. The most ordinary household devices have become IoT-enabled. Take the humble doorbell, for example – a simple ringing device that until now, has been nothing more than a bell hooked to an electrical source. Ring.com‘s Ring Video Doorbell Elite is an Ethernet-powered doorbell that can be connected via wifi, which adds two-way audio and HD video to the doorbell, allowing the homeowner to see who’s at the door, even if they’re not at home. Coldwell Banker Real Estate notes that 61 percent of homeowners are more likely to buy a smart home than a regular home. And while each smart device rightfully claims a level of convenience and simplicity, there is still no single standard that unifies them all, a fact which creates a potential issue in managing multiple devices. Think of a smartphone with 20 or 30 apps – they are all easy and intuitive, but when they’re all on the smartphone screen, it just becomes clutter. The same thing can happen to a smart home. The cartoonists who created the 1960s cartoon “The Jetsons” may have been more spot-on in their futuristic predictions than anyone at the time imagined. Cost of smart devices and embedded sensors in everyday household items – like doorbells – is going down dramatically, and rapidly reaching a tipping point, at which every home in the very near future will have at least some level of smart design.